Cultural North India with Nepal Tour of 11 days duration is meant for the tourists who are short of time but want to explore and experience best of two worlds- India and Nepal in a single tour package. 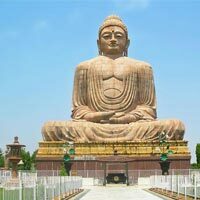 Cultural North India with Nepal Tour consists of select and representative cultural destinations of north India like Delhi, Samode, Jaipur, Agra, Khajuraho and Varanasi along with cultural places of Nepal- Kathmandu, Patan and Bhaktpur. Major cultural destinations of north India like Rajasthan (Jaipur), Braj region (Agra), Kamasutra temples site of Khajuraho and cultural capital of India (Varanasi) have been willfully incorporated to impart a guest a feel of wide canvass of art, architecture, religious practices, cultural shades and spiritual ethos of north India. Similarly, the three cities of Nepal (Kathmandu, Patan and Bhaktpur), included in this itinerary, have been picked to display the cultural essence of Nepal. Veritably, Cultural North India with Nepal Tour commences today. Having enjoyed sound sleep and relaxed to a comfortable level, relish delicious breakfast in Delhi hotel. Delhi tour guide and chauffeur driven deluxe car are ready to take you for a comprehensive full day sightseeing tour of Old and New Delhi. The 4th day of Cultural North India with Nepal Tour is reserved for exploring Jaipur, true representative of the culture of Rajasthan. 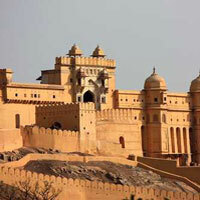 Jaipur is capital city of Rajasthan, the desert state of India with glorious past and historical monuments. Enjoy breakfast in Jaipur hotel and move early for Jaipur sightseeing tour. You are required to commence early Jaipur tour to have a firsthand experience of 'maharaja-like' ride on a caparisoned elephant from foothill to hilltop, where the main gateway of Amber Fort is located. Elephant ride at Amber Fort will be an exotic north India cultural experience. On 5th day of Cultural North India with Nepal Tour, have delicious breakfast in Jaipur hotel and drive for Agra, an historical city in the state of Uttar Pradesh. 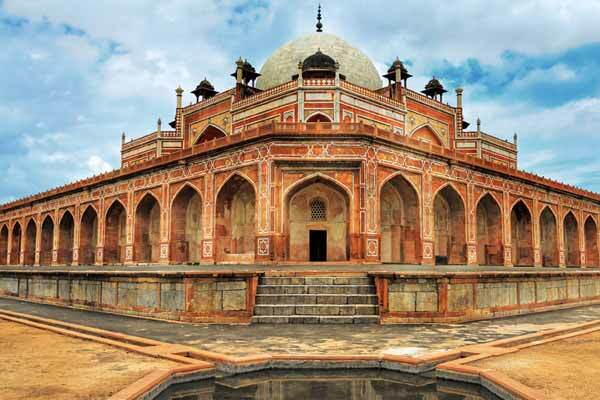 On the way to Agra, a short detour leads you to Fatehpur Sikri, a village town with isolated cluster of grand buildings. Built by Akbar, Fatehpur Sikri was the first attempt of any Mughal Emperor to construct a planned township. There are several palaces, courtyards, religious places, gardens and towering gateways but all these couldn't help the town to its fullest capacity with uninterrupted continuum. The reason was the paucity of drinking water. But to your amazement, most of the architectural monuments are still in a very good state of preservation. 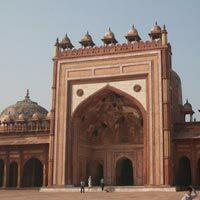 Prime tourist attractions of Fatehpur Sikri are Buland Darwaza, Panch Mahal, Jodhabai Palace, Jama Masjid, Shrine of Salim Chishti etc. 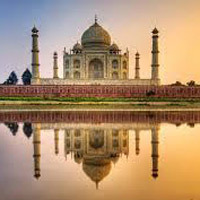 The 6th day of Cultural North India with Nepal Tour is special and destined to be memorable, as you will visit globally famous and one of the Seven Wonders of the World - The Taj Mahal. Taj Mahal is a UNESCO World Heritage site. Majority of visitors claim that Taj Mahal looks most beautiful at the time of sunrise. So, Optima India Tourism has planned your visit to Taj Mahal in dawn hours. Agra tour guide will collect you from Agra hotel's lobby. A 'tonga' ride has been planned for you to take you to Taj Mahal and impart you exotic India travel experience. 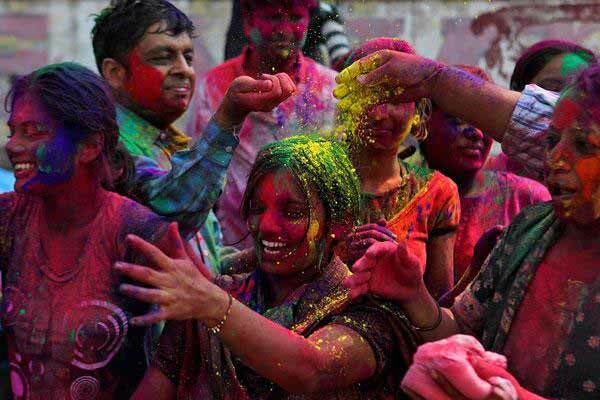 The 09th day of Cultural North India with Nepal Tour is special as you will happen to see various aspects of Varanasi. Early in the morning, Varanasi tour guide will accompany you for boat cruise along the ghats of the sacred river the Ganges to see the cremation ghats and witness the living traditions of one of the world's oldest and most important religions. Other than Hinduism, Buddhism is the most practiced faith in Nepal.Swayambhunath is a Buddhist shrine, situated on the top of a hill west of Kathmandu. Due to large number of monkey in and around temple, Swayambhunath is also known among the foreign tourists as ‘monkey temple’. Total night stays: 10 (Delhi-03; Jaipur-02, Agra-02, Khajuraho-01, Varanasi-01; Kathmandu-01). Do roam into the narrow alleys of Varanasi and have closer view of day-to-day lifestyle of Varanasi people. Agra:Marble items embellished with semi-precious stones. 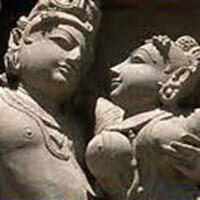 Khajuraho: Ethnic jewellery. Varanasi: World famous Banarasi sarees and Bhadohi carpets. Bhaktpur (Nepal): woodcarving, the Bhadgaolen Topi (cap). Delhi:Punjabi non-veg spicy dishes like tandoori chicken etc. Agra:Mughalai non-veg dishes especially mutton, chicken and ‘korma’.